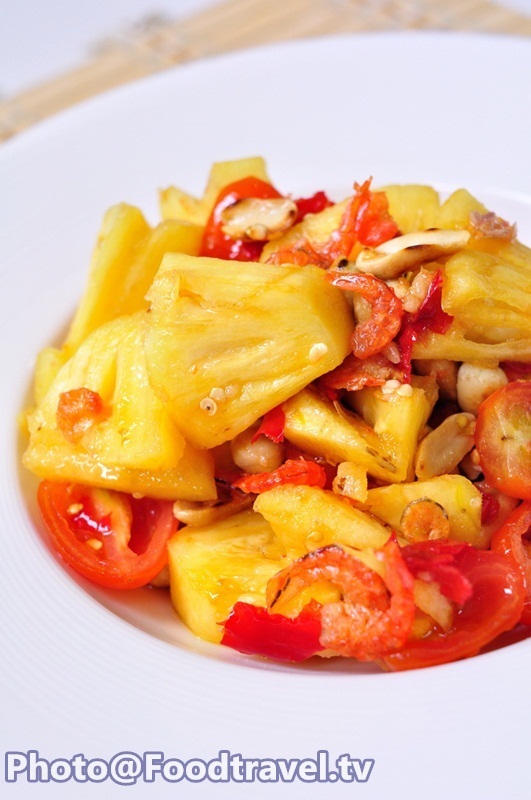 Thai Food - Thai Spicy Pineapple Salad (Som Tum Sub Pa Rod) - This is another choice of a delicious healthy menu. Sweet pineapple with sour and spicy green papaya dressing salad is can go perfectly well. For those who lose weight, you shouldn’t miss to try this menu at all. 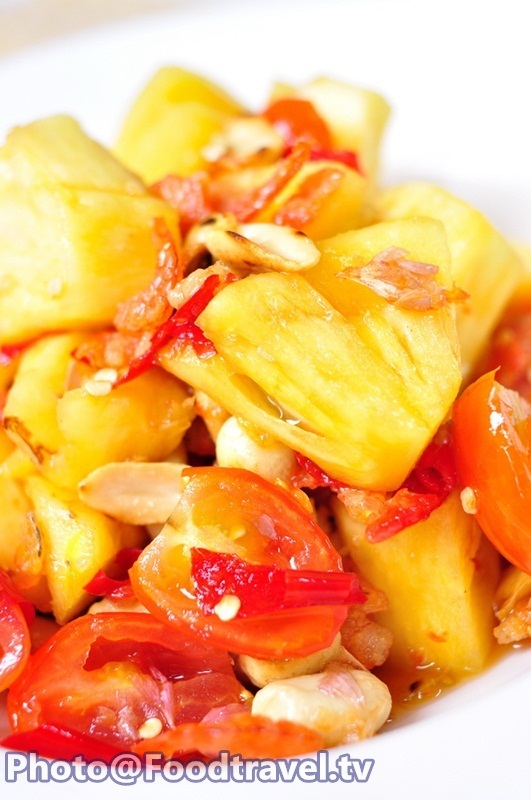 Pineapple Papaya - This is another choice of a delicious healthy menu. Sweet pineapple with sour and spicy green papaya dressing salad is can go perfectly well. For those who lose weight, you shouldn’t miss to try this menu at all. 1. Cut the core of pineapple then cut it into pieces. 2. Pound chilli and garlic. Season with palm sugar, fish sauce and stir well together. Then chop tomatoes down. Pound just a little. 3. Add dried shrimp, peanuts, pineapple. Mix ingredients and you’re done.